Happenings are the creatures of men. 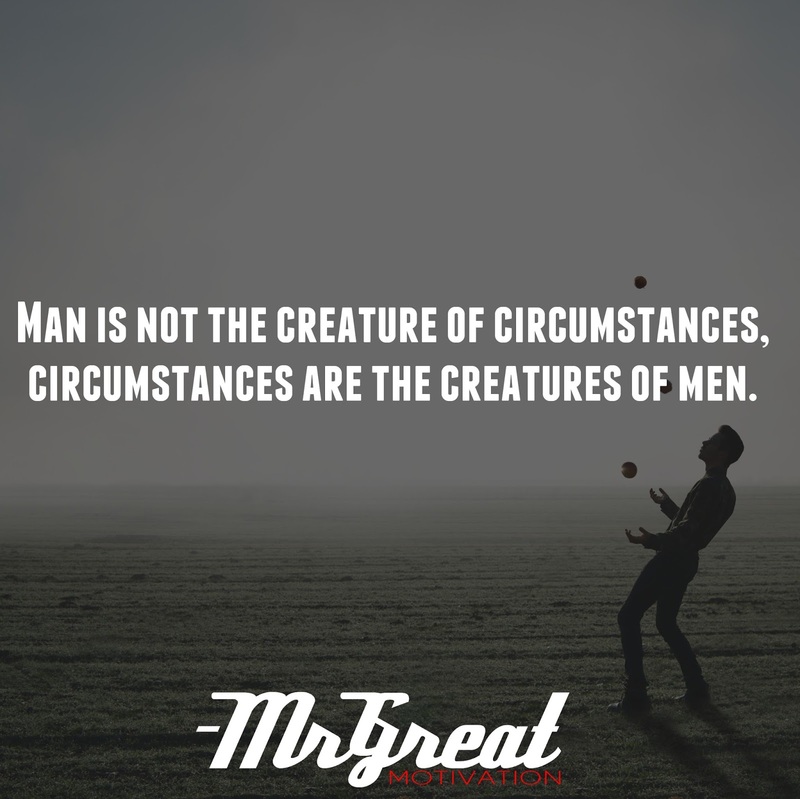 Men are not the creations of circumstances. The plans that we have endured in our lives that we have believed because of the emotions we’ve attached to them have manifested. Even a conflicting result can be our great achievement. We need resolution; absolutely. But endurance is not just about taking huge action. If we just take massive action on faulty blueprints our persistence will become unsustainable. Endurance is the byproduct of four simple habits. Most humans blame personalities, situations, and objects for their circumstances in life. Imagine sending that blueprint into emptiness and realizing that we have total control over our thoughts and therefore control of our outcomes. As long as it’s good for us and doesn’t take away the good of anyone else then we can design our own lives. 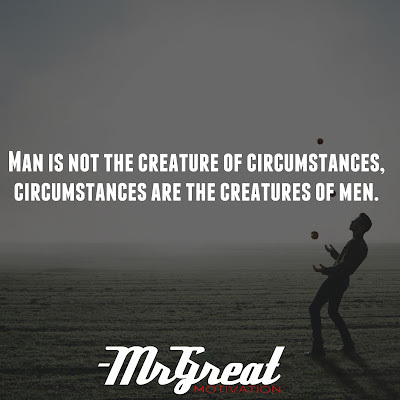 Circumstances are the creatures of men. We are free agents, and man is more powerful than matter. We create put own luck, own opportunities, do not blame people or circumstances. You don’t like it hangs it, as long as we have the will to do something and breath for us we can do anything. Let’s lock and load. Stay motivated.